Friday 27th – We packed up ready for our next places to see and be. First stop was Jessie Gap where we had morning tea. The wind had a real ice to it. Jessie Gap wasn’t much especially after Trephina Gorge. Emily Gap was a more interesting. Wind howls brought these gaps, must be snowing somewhere it has a real icy chill. 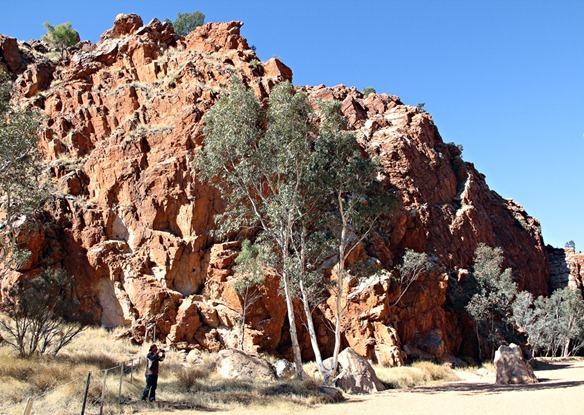 We stopped in Alice for one night before we head into the West Mac Donnell Ranges.